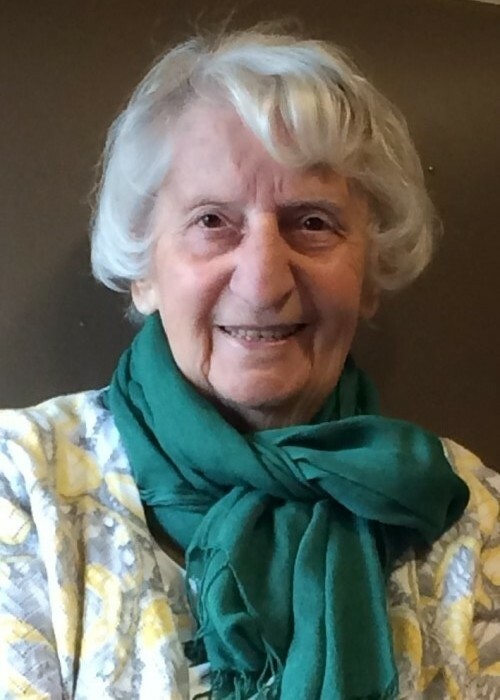 Obituary for Pauline (Contre) Desaulniers | George C. Lima Funeral Home, Inc.
Pauline Francoise (Contre) Desaulniers of Bristol died peacefully at the home of her daughter on Sunday, April 7, 2019. The widow of Andre P. Desaulniers, she was lovingly cared for by her children and their partners until her passing. Born in Woonsocket on May 29, 1925, she was the daughter of Romeus and Adelaide(Metivier) Contre. Pauline was preceded in death by her beloved brothers Leon and Roger Contre and her sister Annette Contre. She was the mother of Denise Arsenault (Robert), George Desaulniers (Adina), Paul Desaulniers (Anne),Roger Desaulniers (Sandy) and Celeste Verria (Lawrence). She is also survived by 14 grandchildren and 8 great grandchildren. Pauline was a Teacher Aide in the Bristol Public Schools lending a compassionate hand and heart to students and teachers alike. She was an active volunteer with St. Mary's School Women's Guild, Cub Scouts and several forward thinking church and civic groups. Pauline, with her husband Andre, taught their children the value of speaking politely in search of just and equitable solutions to problems. The home they built to raise their family here expanded at times to host many, including impoverished children from NYC and refugees from Cambodia. Pauline was a dear friend to many and a helper to newcomers no matter where she lived. She loved music, travel, beauty and little ones. All who were touched by her are invited to Mass of Christian Burial that will be held on Thursday, April 11th at 10:00 AM, St. Mary’s Church, 330 Wood Street, Bristol.